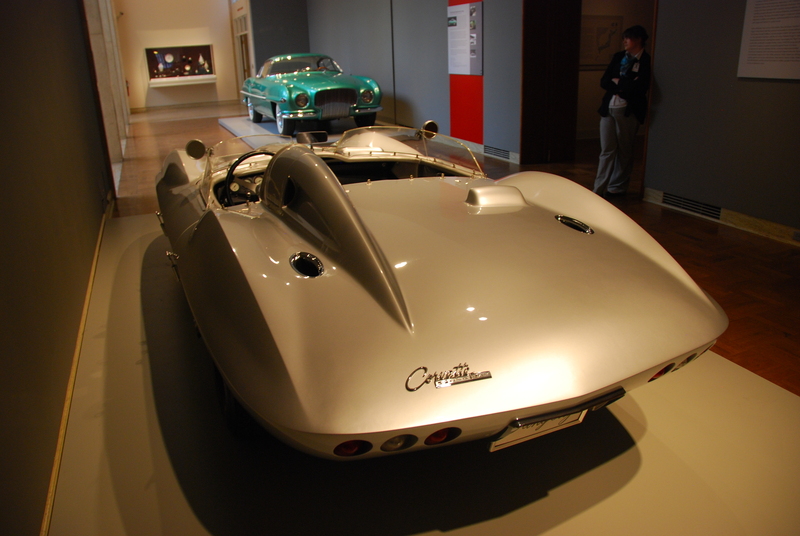 This car was designed in 1959 by a team of all star stylists led by Bill Mitchell. The team consisted of the legendary Peter Brock (who contributed to the GT350 Mustang), Larry Shinoda, Tony Lapine, as well as Corvette engineer Zora Arkus-Duntov. Bill Mitchell was appointed the head of GM design in 1958 (replacing Harley Earl) and was determined to make his mark on auto styling. This car reflects his appreciation of a good crease in a pair of pants. Mitchell explained, “Trousers don’t look any damn good without a crease in them. You’ve got to have an edge to accentuate form”. I saw this car at Portland’s High Museum of art and apologize for not having a wide enough lens to get a decent side shot of this car. At first glance I thought this was a 1963 Corvette. After a double-take I realized this was the Sting Ray concept that won the SCCA C Modified championship in 1960 and was Bill Mitchell’s daily driver. 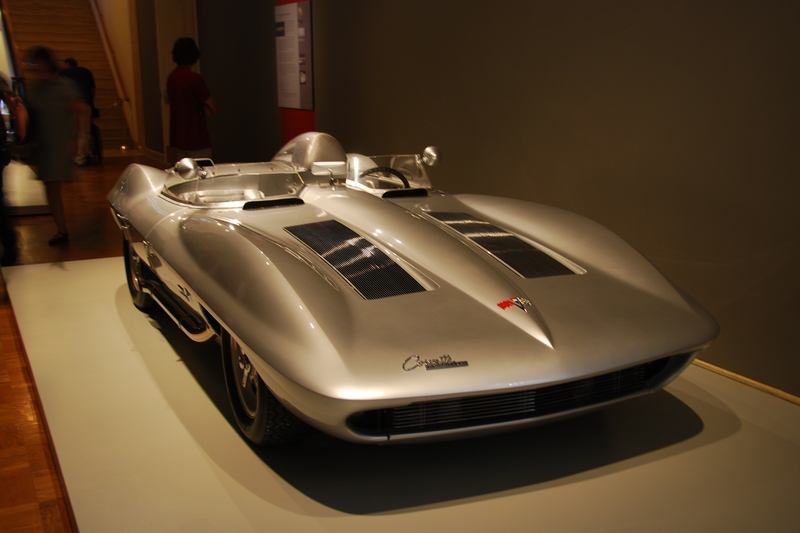 Yes, the head of GM design’s street car in the early 1960s was one of a kind a championship winning race car styling concept. I get the feeling Bill Mitchell was a cool guy. The Sting Ray, like other pieces of art, is a striking design with elements that pop only after you’ve been looking at the whole canvas for a while. Imagine the presence it had rumbling through Mitchell’s neighborhood as he came home from a day at the office. 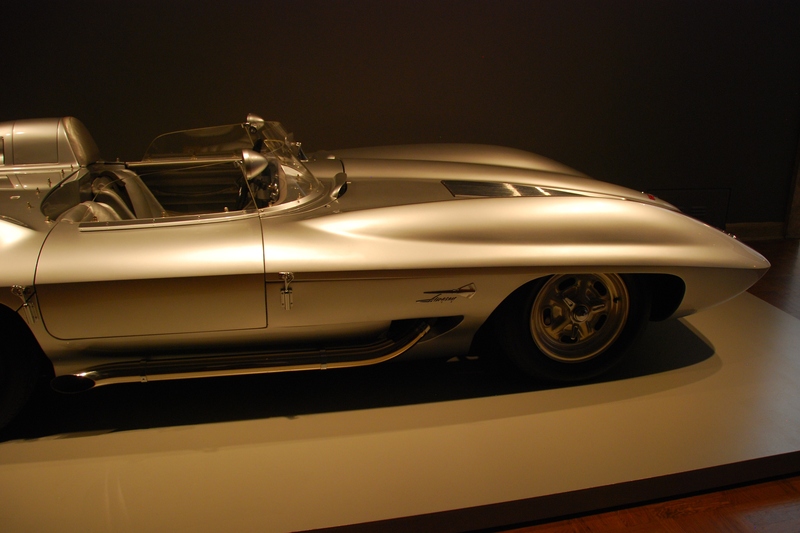 This entry was posted in Photography I like and tagged Automobiles, Bill Mitchell, Corvette, Corvette Stingray, Larry Shinoda, Peter Brock, The Allure of the Automobile. Bookmark the permalink. Reblogged this on The Enthusiast.